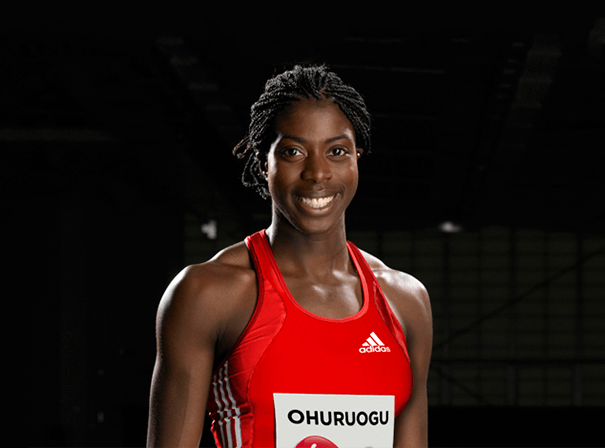 Christine Ohuruogu is a successful and celebrated British athlete who is immediately recognised, is a popular guest star and an entertaining speaker. Christine’s professional athletics career began to take shape in 2003 when she won a bronze medal at 400m at the European Junior Championships. The following year she became the Amateur Athletic Association champion, which led onto a semi-final place in the 400m at the 2004 Athens Summer Olympics, and a spot on the 400m team GB relay team, who finished fourth. In 2005, in-between training and competing, Christine graduated from University College London, with a degree in Linguistics. Christine’s good performances continued but her progression was disrupted by injury. She placed 5th in the 2009 IAAF World T&F Championships in Berlin but was forced to miss the 2010 European Athletics Championships and Commonwealth Games. In 2012 Christine was injury free and back to her best and started the season with a fantastic run to help GBR win the 4x400m gold in the IAAF World T&F Championships in Istanbul. At her home Olympic Games in London she won the silver medal in the 400m in 49.70 secs, only 0.15 off the gold. Following her Olympic achievements, in 2009, Christine was appointed Member of the Order of the British Empire (MBE) in the New Year Honours and is now available for after dinner and public engagements where she spills all on her long career.